Redefines the smile and enhances the look. 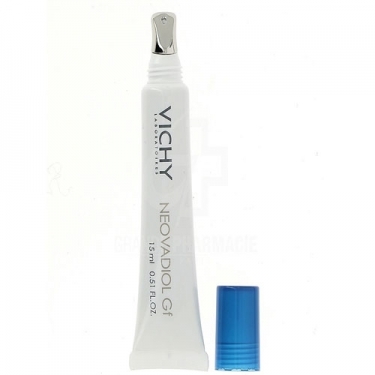 DESCRIPTION: Neovadiol GF Contours Lèvres et Yeux from Vichy is a care for the eye contour and lips for mature skin. Formulated with complex Proteic Gf and Pro-Xylane, conjugated Epérulina and Vichy Thermal Spa Water, regenerates the contour of the tissues of the eyes and lips, limits the pigmentation and vasodilation, reducing dark circles and puffiness. Resets the control of the lips and highlights your look. Rich and dense texture that turns into a fresh and non-greasy on application. 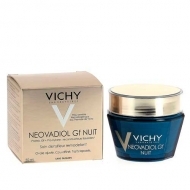 Tested under dermatological and ophthalmological control. Hypoallergenic. Fragrance and parabens free. Smoothes the eye contour: 32%. Smoothes above the lips: 25%. Clinical results, 40 individuals, six weeks. The skin around the eyes and mouth appears smoother (84%) and more comfortable (92%). Self-assessments on 51 women. Apply daily in the morning and in the evening around the eyes and lips.